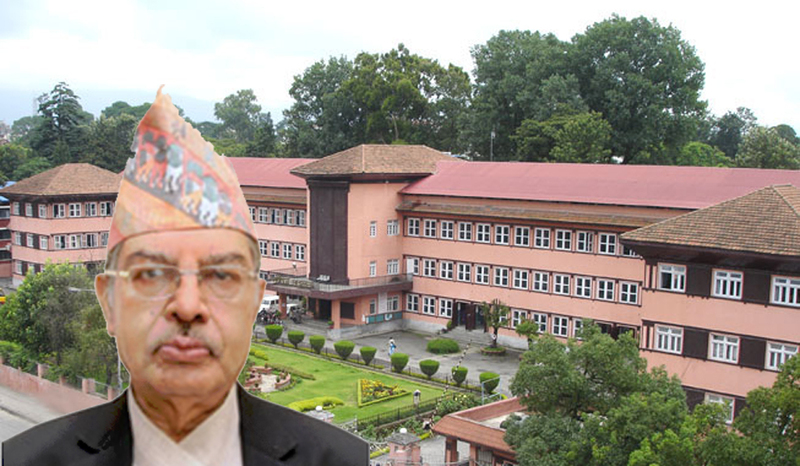 KATHMANDU, March 16: Gopal Parajuli tendered his resignation as chief justice as per Article 131 (A) of the Constitution after meeting President Bidhya Devi Bhandari on Thursday afternoon, according to a press release from the Office of the President. 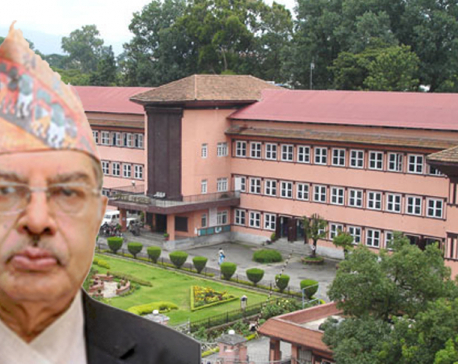 Seniormost Justice Deepak Raj Joshee then assumed the post of Acting Chief Justice of the Supreme Court. “I shall work to keep everything intact,” Joshee told media persons. “We shall be ready to correct our mistakes on a learning by doing basis,” Joshee said in response to a query on his stance on the circumstances surrounding Parajuli's exit. “Sometime we should be ready to look back too in order to find out whether we committed a mistake or not,” he added. Asked whether the new government with a two-thirds majority in parliament might dominate the judiciary, Joshee claimed that there are lots of problems within the judiciary but he would try to find the solutions from within the judiciary itself. “We must not shift the blame to others because we might be the real cause of the problems,” he added. Parajili's retirement and Joshee's takeover were dramatic developments for the entire legal community. Even following the letter from the Judicial Council relieving Parajuli of his position as CJ, confusion reigned until Joshee assumed office. Parajuli had publicly claimed on Wednesday evening that he would continue in office and that the JC letter was illegal. The Supreme Court official website and the cause list were published before the principal registrar and other officials of the apex court welcomed Joshee at 9 a.m. as the new head of the judiciary. “We had to complete everything on short notice because there were rumors Parajuli was coming back despite having been served his retirement letter,” an official shared with Republica. While addressing the journalists, Joshee also claimed that the letter issued by JC Secretary Nirpa Dhoj Niroula was legal and had been prepared according to his (Joshee's) instructions. “He had asked me while preparing the letter and I gave him the nod,” Joshee said adding, “He did whatever there was in the Judicial Council Act, 2017.” Joshee also claimed that Parajuli's decision to extend his tenure by deciding the validity of his own personal details was wrong. “No one can be a judge of any matter relating to himself or herself,” he added. The acting head of the judiciary also claimed that he would work according to the ongoing five-year plan of the judiciary and would try to ensure access to justice for the needy as only 15 percent of the total population has access to the judiciary. During his tenure, according to Joshee, the judiciary will work to protect the rights of the people. “The apex court shall be the watchdog of the people's rights,” he added. Born on October 10, 1954, Joshee has reached the top position in the judiciary after serving as a judge for 27 years. He was appointed an appeals court judge in 1991 and promoted to chief judge in 2012 and to Supreme Court justice in 2014. Decorated with the title of Doctor by the Open International University for Complementary Medicine Sri lanka-Nepal Branch, and a master's in political science and bachelor's in law from Tribhuvan University, Joshee practiced law from 1979 to 1991. He was also a teacher at Nepal Law Campus and served as college principal in 1990. The acting CJ has a background of creative writing and poetry and wants to establish a law museum at the judiciary to preserve and protect historic documents and records relating to the legal development of the country.